Plot: It opens at a Norwegian mountain town, situated picturesquely on the shores of a deep lake – a postcard setting filled with wholesome and handsome people. Savor the stillness, for the hell is about to break loose when a mountainside slides into the lake causing a tsunami. 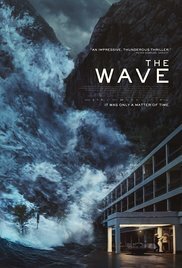 Pros: Decent special effects, not over CGI-d with blissfully short sequence of the tsunami itself and engaging, likable characters. Cons: Formulaic, just like 99% of this genre; dubbing a Norwegian film in English proves to be a bit of a challenge as well.